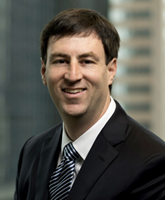 Judd Harwood focuses his practice on general and nonprofit corporate transactions and healthcare regulatory issues. Judd represents a wide range of healthcare clients in connection with mergers and acquisitions, joint ventures and physician alignment strategies, corporate reorganizations, private securities offerings, corporate governance, employment and independent contractor relationships and general corporate matters. His clients include health systems, hospitals and related healthcare facilities, multi and single specialty medical practices, ambulatory surgery centers, dialysis providers, hospice and home health agencies and non-profit healthcare organizations.